At the base of the hill outside of Disque Hall, students will no longer see a tree, but a stump. In the midst of the new Korman Quad design, the tree, an American Yellowwood, was removed last week. Soldner led a small ceremony at noon to mourn the tree’s removal. 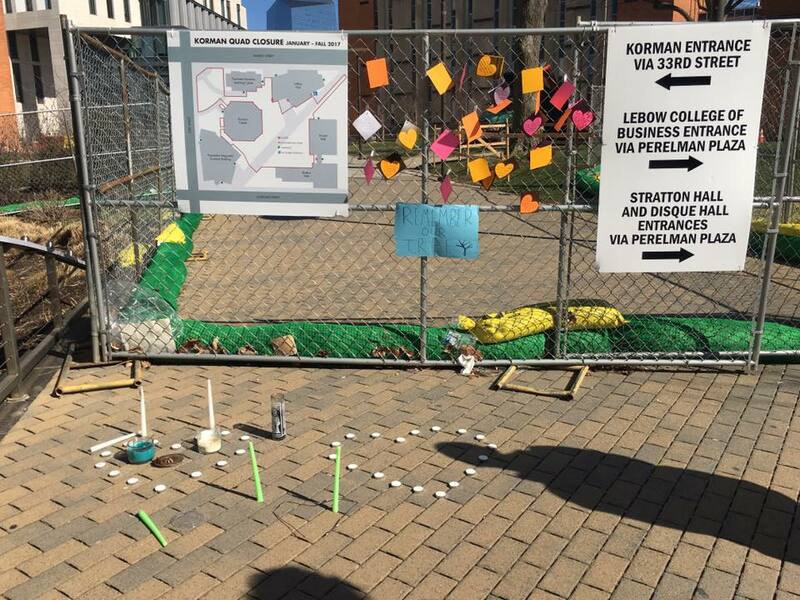 After the ceremony, students taped notes to the fence outside of the Korman construction at Market and 34th streets. 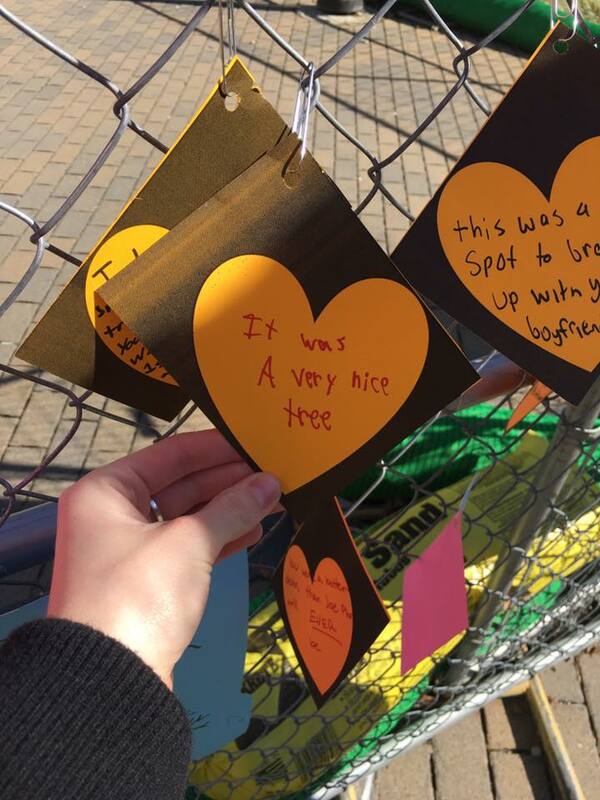 Around 25 students came to pay their respects to the tree in the first hour, Soldner said. But as of Feb. 19, she was hopeful that more would stop to write well wishes and say goodbye throughout the week. 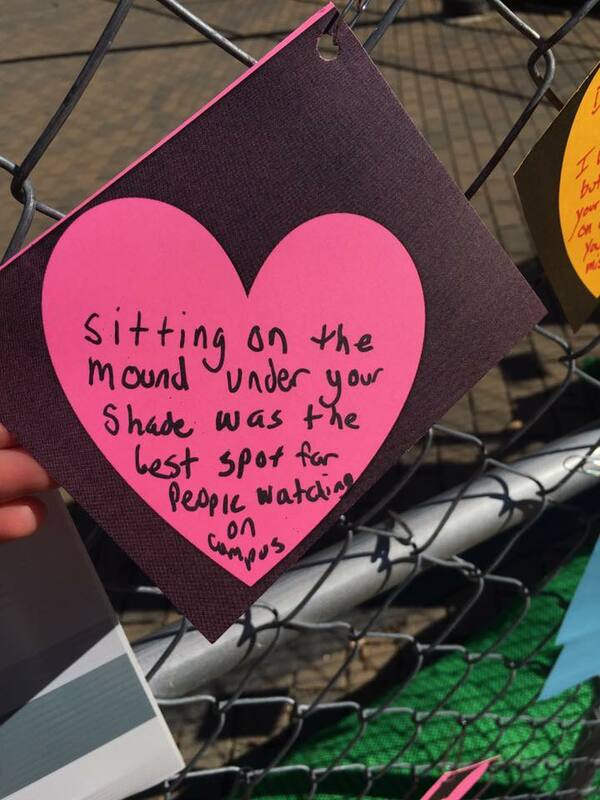 “You were my first meeting place on campus and my favorite classroom. I already miss you. 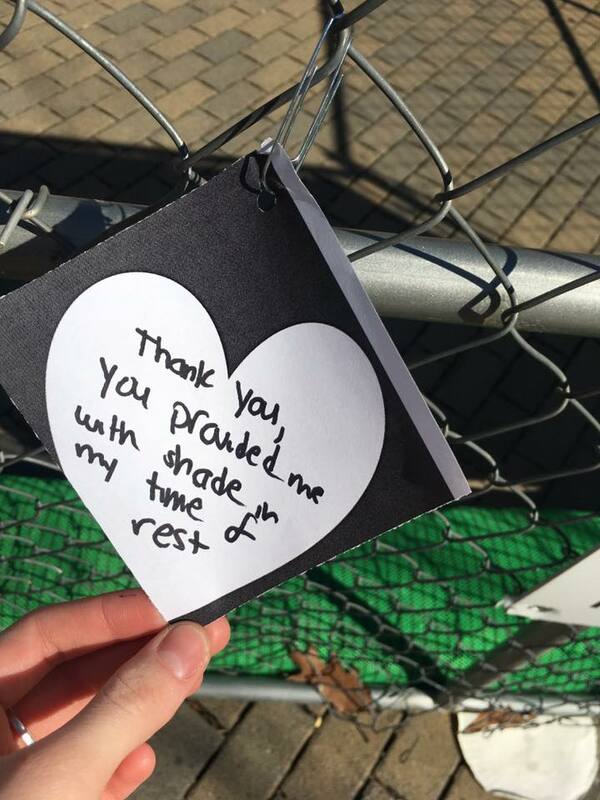 Goodbye fair tree, rest well,” a note taped to the fence read. In other notes, students reminisced about eating ice cream and cake in the tree’s shade and enjoying outside classes in its company. One student fondly remembered spending afternoons sitting beneath it, plotting to ruin an enemy’s life. Soldner said she was inspired to hold this event because she felt like a lot of students had a chance to connect with it due to its central location. She also wanted to spread the word of the tree’s removal, which she has been personally upset by. According to Drexel University communications official Niki Gianakaris, substantial decay was observed in the tree’s trunk during its removal, which would have made it unsuitable for relocation. She also said that the Korman Quad’s new design will feature a significant number of new trees. This includes both large canopy trees, such as oaks, maples, elms and tulip trees, and understory trees, such as serviceberries, redbuds, fringe trees and sweetbay magnolias.